Join us Saturday morning for two FREE Les Mills classes! Green For GRIT is a free experience for both members and non-members tomorrow (St. Patrick’s Day) from 9-10 . Omar will be on hand to explain GRIT program packages and pricing. 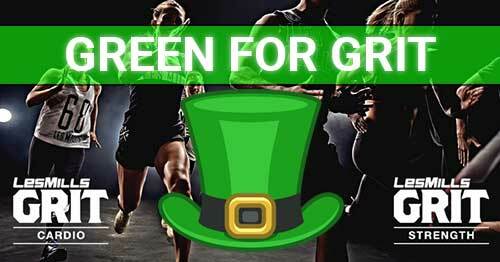 Start your St. Patrick’s Day off with these fast, fun and effective workouts!